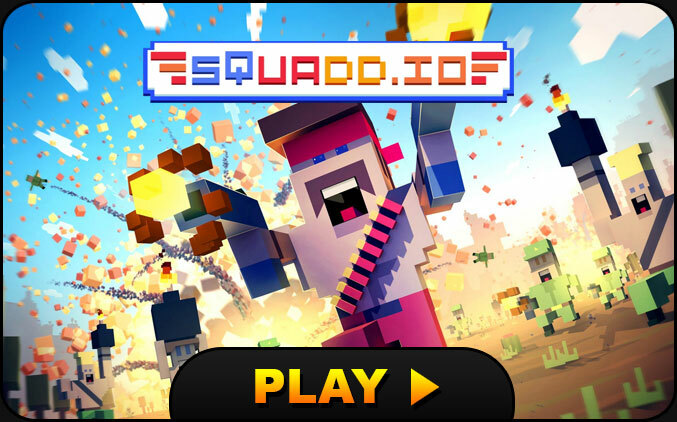 Enter the arena and get ready for crazy clashes against other players in the online arcade / shooting game Squadd.io. The fights will be frantic, aim, shoot, dodge and try to kill your opponents while staying alive as long as possible. By registering quickly with social networks you can save your progress, gain levels, get loots, acquire new weapons and improve them. Squadd.io is a condensed of action on your web browser!